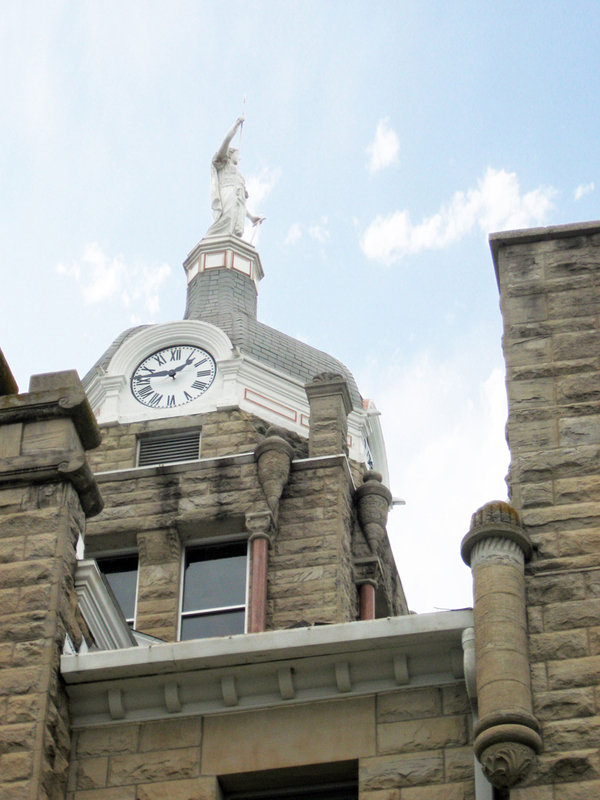 STRATA Architecture Inc. was hired by Johnson County, Missouri to serve as the Architect of Record for an Assessment and Feasibility Study for the historic Johnson County Courthouse. 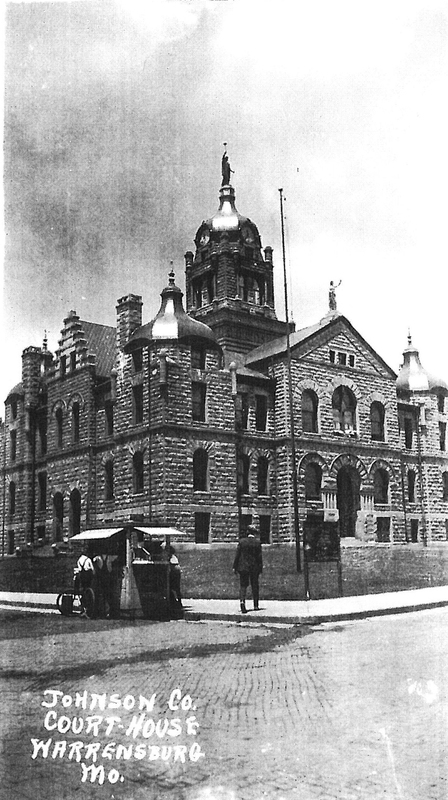 This impressive Richardsonian-Romanesque courthouse was constructed from 1896-1898 in Warrensburg, Missouri utilizing local Warrensburg gray sandstone from the Pickel Quarry just north of town. Our role for the project was to survey and assess the existing conditions of the facility (roof, masonry, windows, plaster, lighting, etc. ), to explore ADA accessibility options, and to prepare an assessment feasibility report. Our team of consultants also performed and evaluation and made recommendations about the structural, and mechanical/electrical/plumbing systems. We met with the Johnson County Commissioners and the JCEDC to understand their facility’s history, current condition, and to plan the building’s future. This successful project was partially funded through the Missouri Department of Natural Resources, State Historic Preservation Office. 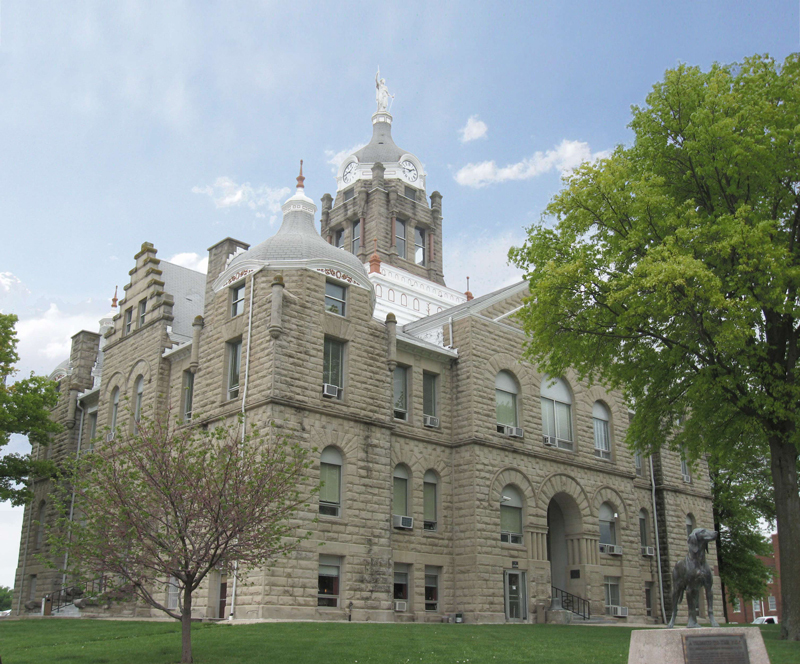 As such, our firm worked closely with the Missouri State Historic Preservation Office, who approved our final assessment and feasibility report. The final report produced contained our detailed building assessment, probable cost estimates for future phases of work, and additional funding strategies.